Description: New, old stock of vintage frosted sunray crystals. 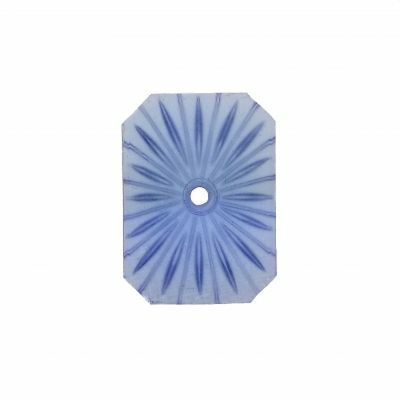 These Art Deco style sunray crystals have a frosted matte finish on a semi translucent sapphire blue color glass base similar to camphor glass. 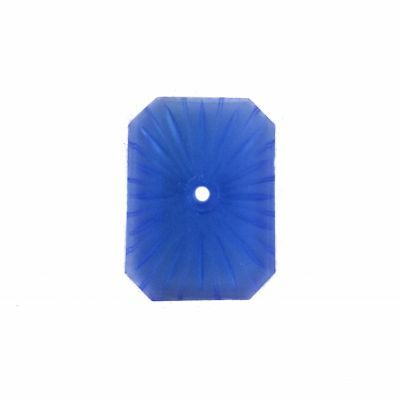 Each tablet is hand pressed with an engraved top and center hole for a trim plate or stone accent. There will be a slight variation in color, size and shape due to edges being ground by hand. Made in Germany and were first made to imitate the look of the Art Deco rock crystal jewelry of the 1920's. 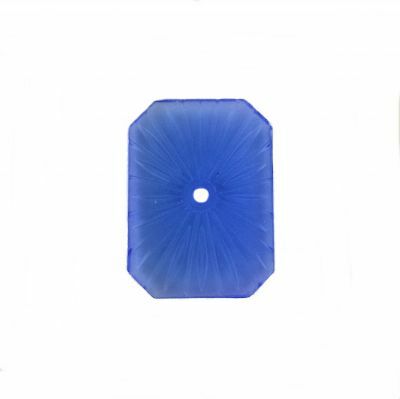 Measurements: This 25x18mm emerald shaped tablet has a height of 3.3mm with a 2.1mm sized hole in the center.